A 58-year-old Texas man walked free Monday after serving years for a crime he didn't commit — the repeated stabbing of a woman whose body was found on a dirt road in rural North Texas. Randolph Arledge was sentenced to 99 years in prison in 1984 for killing Carolyn Armstrong. But a state district judge in Corsicana, about 50 miles southeast of Dallas, agreed with prosecutors and Arledge's attorneys that he could no longer be considered guilty after new DNA tests tied someone else to the crime. Judge James Lagomarsino agreed to release Arledge on bond while the process of overturning his conviction is pending. The Texas Court of Criminal Appeals must accept Lagomarsino's recommendation for the conviction to be formally overturned, a process that is considered a formality. Arledge wore shackles around his wrists and ankles at the start of the hearing, but was later taken into a back room by two deputies to have them removed. When he returned, Arledge hugged his two children. His daughter was 4 years old and his son 7 when he was sent to prison. "They suffered more than anybody," Arledge told reporters afterward. He gestured to his daughter, Randa Machelle Arledge. "She's always talking about, she wanted me to come pick her up from school. Now she's picking me up." "Every time he came up for parole, it was broken, shattered hopes," his daughter said. Her abandoned car was found miles away with several pieces of evidence, including a black hairnet on the left side of the driver's seat. Hair taken from that net was preserved for three decades. In 2011, more advanced DNA testing linked samples from the hair net and elsewhere to someone else. Navarro County District Attorney Lowell Thompson said authorities are searching for the person matched to the DNA and believe they know where he is. The case "will stay open until we solve it," he said in an interview. "It's their daughter; it's their sister who was victimized," Thompson said. "I empathize with them as much as I can, but you know it's not easy for them to have to have all this brought back up." Like many wrongfully convicted inmates, Arledge was sent to prison with the help of faulty eyewitness testimony. Two co-conspirators in an armed robbery testified at his trial that he had admitted to stabbing someone in Corsicana and that he had blood on his clothes and knife, according to the filing by Arledge's attorneys. State lawmakers have passed several measures to try to prevent wrongful convictions. 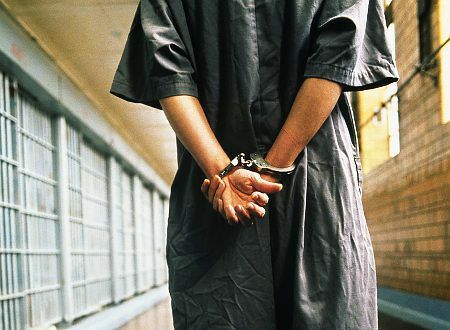 Texas now has a law allowing all inmates convicted of a crime to seek new DNA testing. It also has the nation's most generous law for ex-inmates who have proven their innocence, providing a lump-sum payment of $80,000 for each year someone wrongly spent behind bars, as well as an annuity and other benefits.